Popcorn is our obsession at Franklin’s. We make popcorn products of a different era, from a time when you could count on your food to be wholesome and pure. 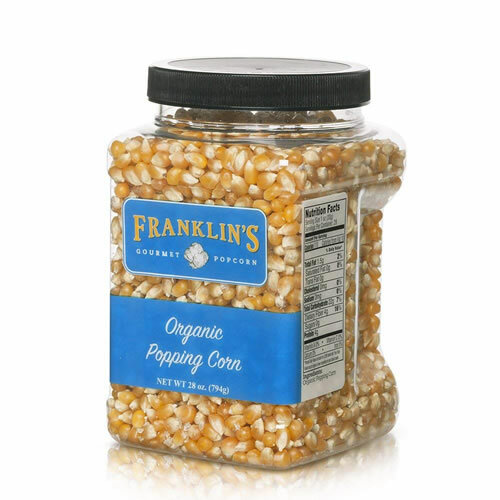 Our certified organic popcorn is non GMO popping corn that’s grown in Iowa and packaged in Wisconsin. Our popcorn isn’t the cheapest in the market but give it a try and we think you’ll agree it’s the best tasting! Our popcorn is guaranteed to be fresh and delicious or your money back, no questions asked.